Like most services, Foursquare has long had a developer API that allows users to plug Foursquare data into other apps. Now that idea is evolving with Foursquare's new Connected App Platform. With Connected Apps, developers can build their app or service into Foursquare - essentially, apps will run within Foursquare to enable new kinds of user experiences. Ignore that those are iOS screens - the service will be cross-platform. The new APIs are just a developer preview right now, but already Foursquare has worked with its various partners to get the ball rolling. The official Google Maps app has been updated again, this time with a major addition to Latitude - check-ins. 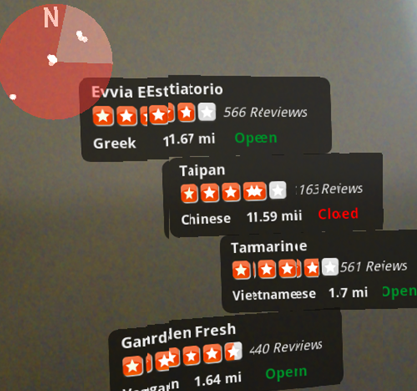 Just as Hotpot seemed to be a Yelp-killer, Google must now have Foursquare in its sights, because Latitude's check-ins have a few major advantages over Foursquare and its competitors. Latitude will notify you when it recognizes your location, giving you the option to check-in wherever you are. However, you can also set up automatic check-ins for only the places you want, an incredibly convenient feature that still covers any privacy concerns. A notification about the new version of Yelp just popped up on my EVO, and without thinking much about it, I gave it a whirl. Ohh, version 2.0 - it must be bringing new features, I thought. Indeed, it was. And I'm in love with them. A bunch of force closes, which I hope would be fixed soon.